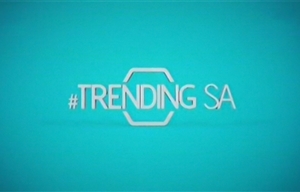 Trending SA is a South African daytime talk show in which four personalities discuss trending hashtags of the day, sparking conversation with guests who are brought in to delve deeper into issues that are trending on social media. The producer of Trending SA is Anda Moyake, with executive producers Phuthi Nakene, Thabo Pitso and Thokozani Nkosi. He joins the gals as their new full-time "Doctor in the house". 2016 wrap! Which shows have been the Best New Shows of the Year?